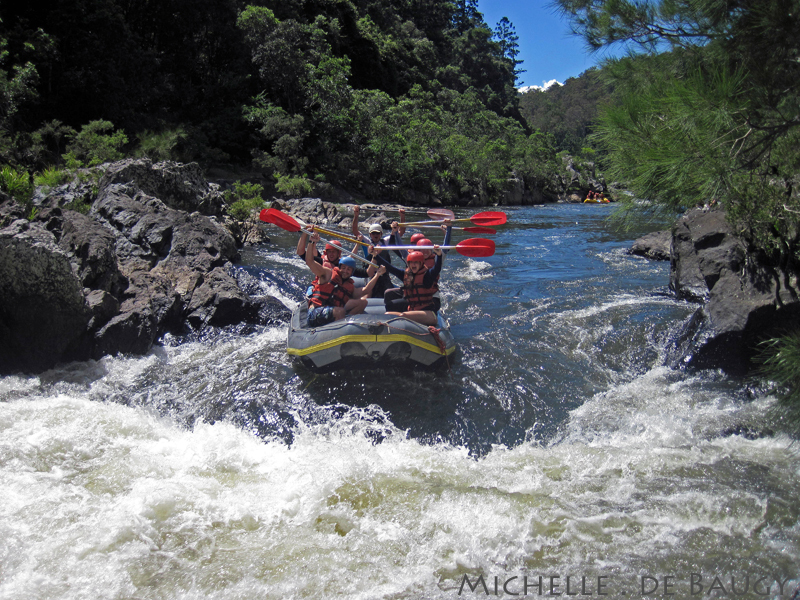 Our Life Down Unda: white water. 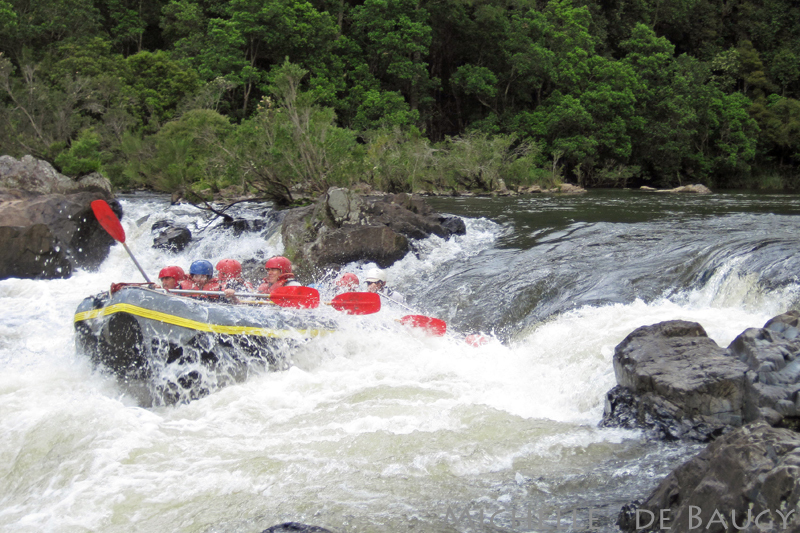 While we were on our Christmas holiday in Coffs Harbour we took advantage of the surrounding areas and headed out for a day of white water rafting with Liquid Assets on the Nymboiba river. 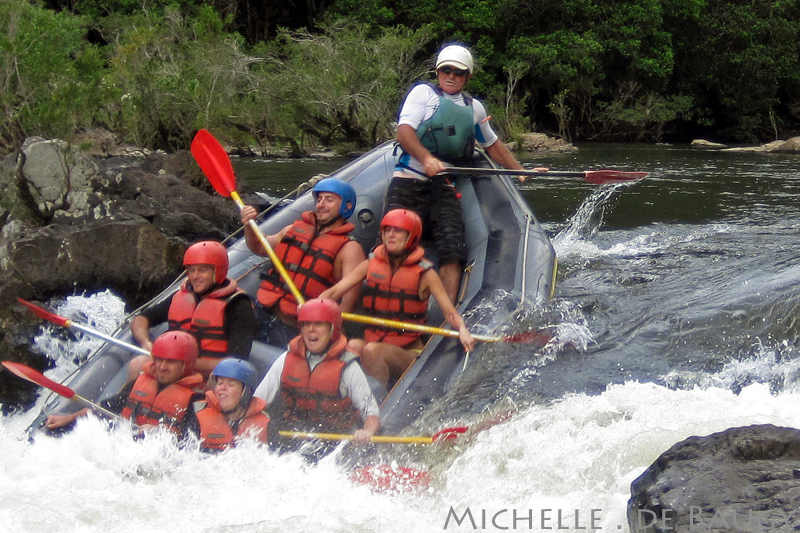 After an hour and a half drive through the rainforest, we arrived at our starting point and prepared for the rafting experience. 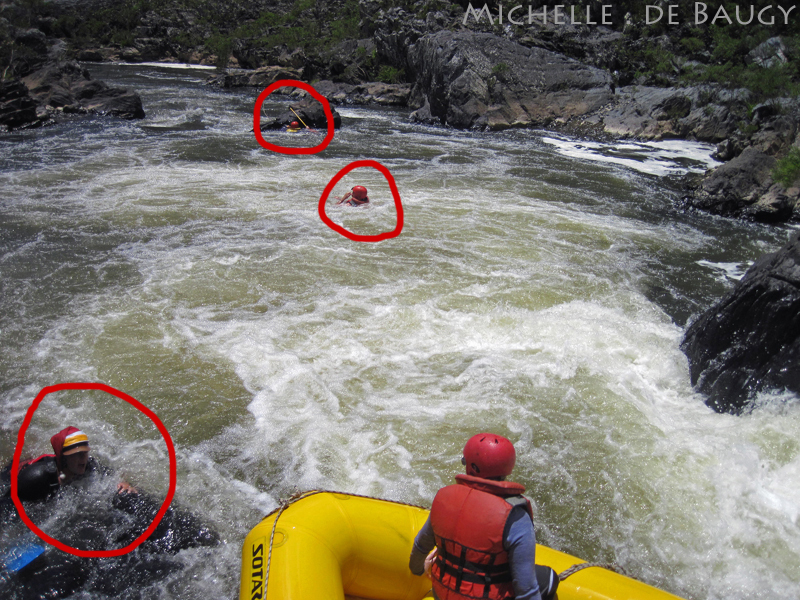 When we got there they went over a few rules and instructions on where to sit, how to rescue someone, etc. 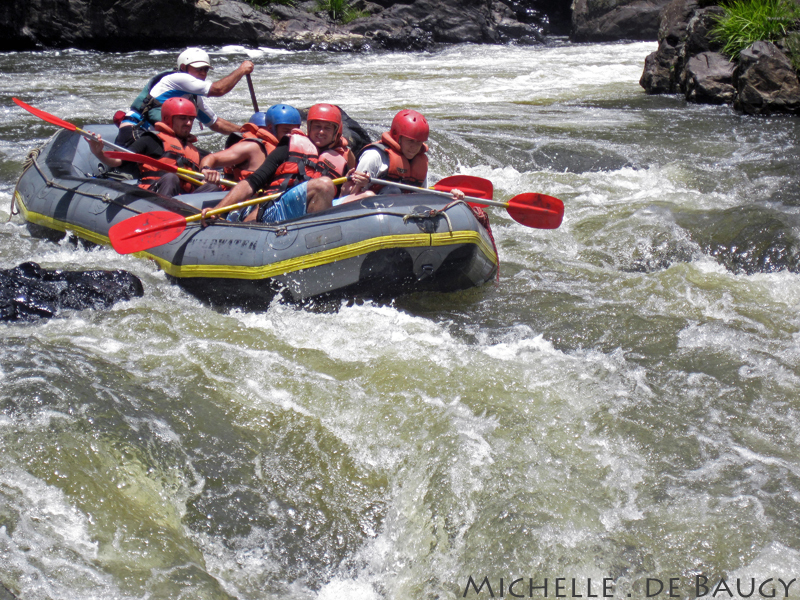 There were four boats with six people and one guide in each. 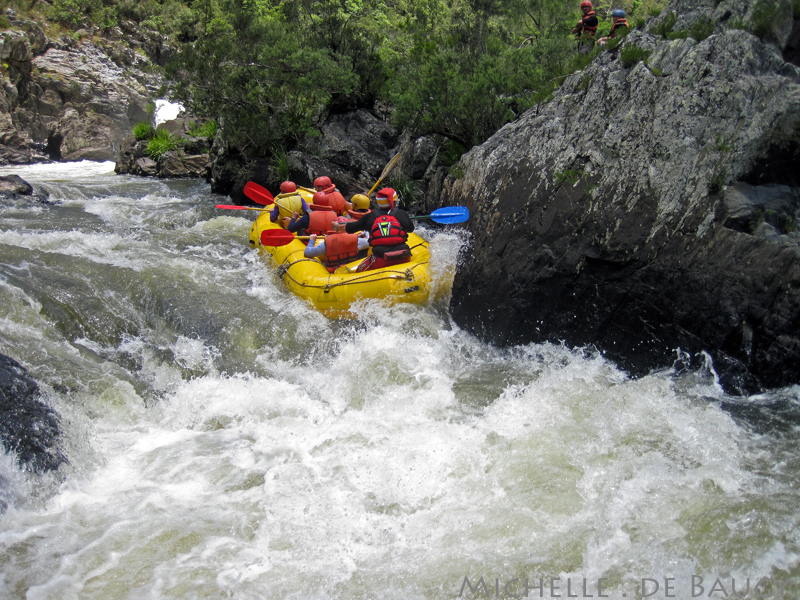 We were in the grey boat with the most experienced guide (thank goodness!). 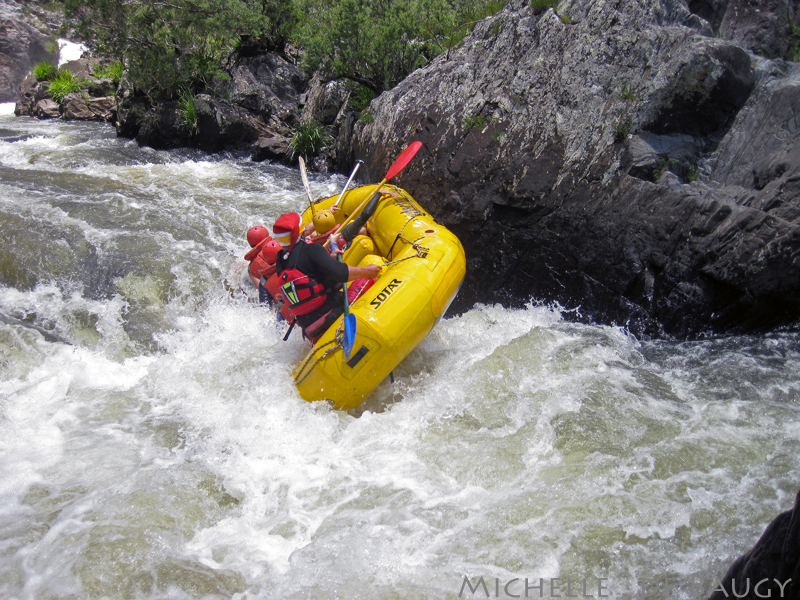 One of the guides (who we nicknamed "Santa" because of the hat he was wearing) was having a particularly bad day and seemed to get stuck or lose passengers on pretty much every rapid... like this one below. 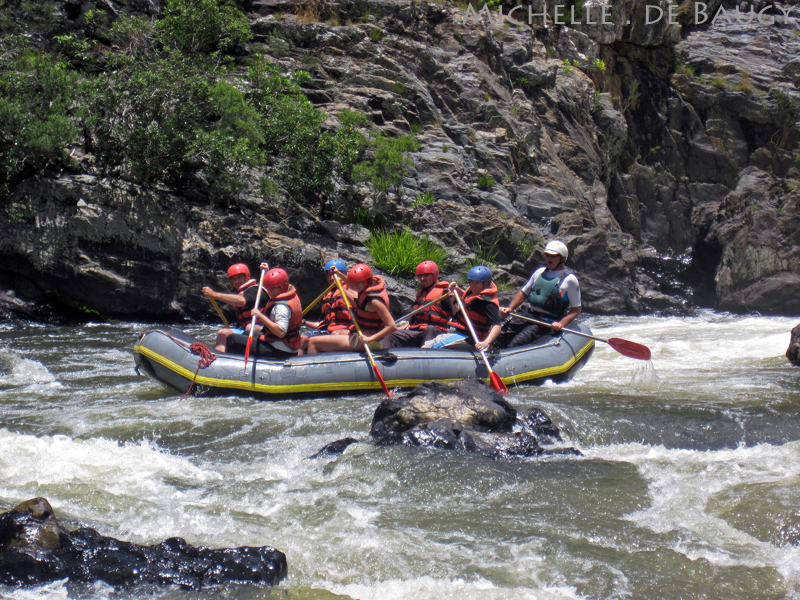 People and paddles were streaming down the river. 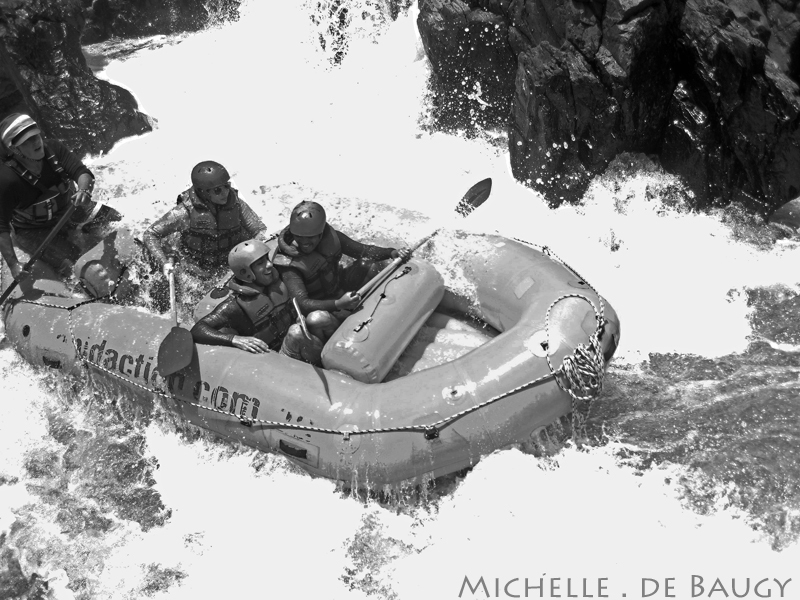 It was a bit scary to watch but everyone was safe after each rapid so we were able to laugh and joke about it afterwards. 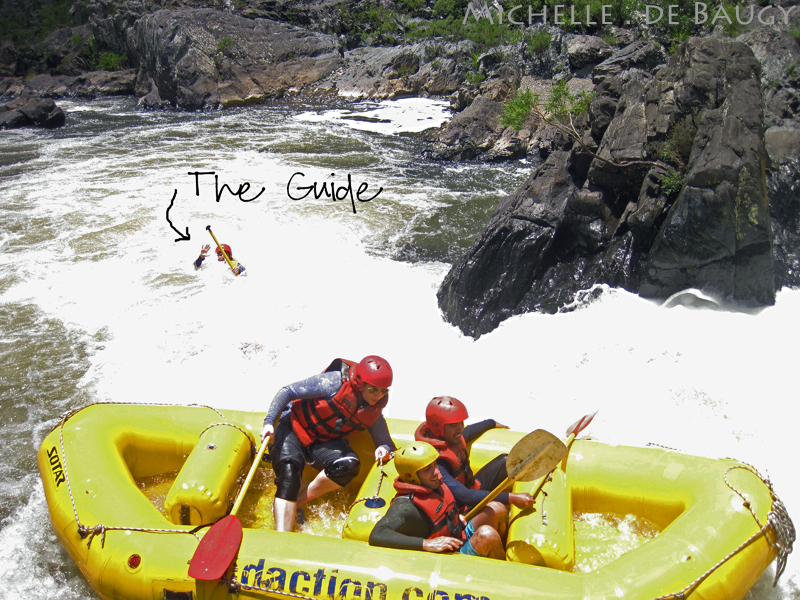 And you can bet "Santa" was given a lot of crap by the other guides later that night. 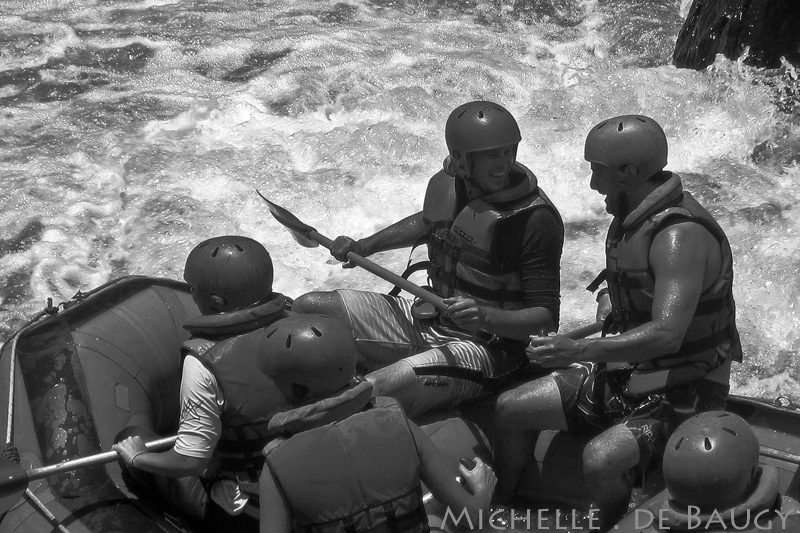 I have only been rafting one other time in my life but I really can't say enough good things about this tour group. 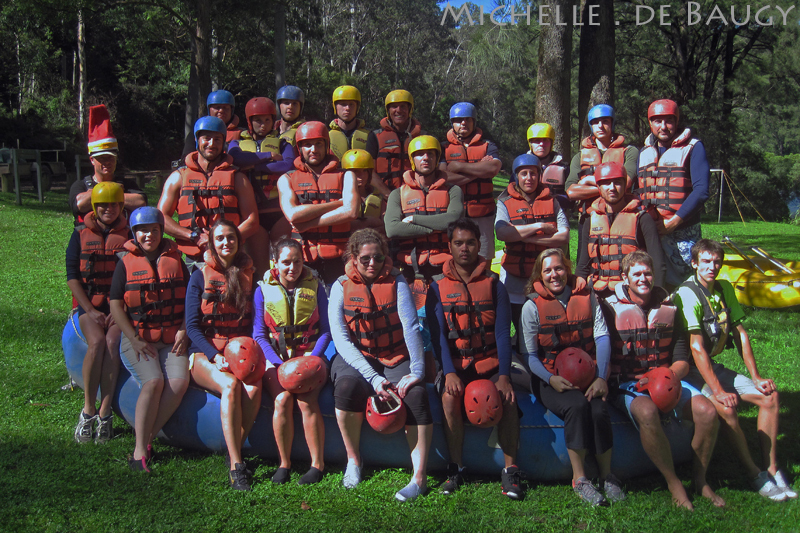 They made sure we were safe but were casual enough so that we all had an amazing time. 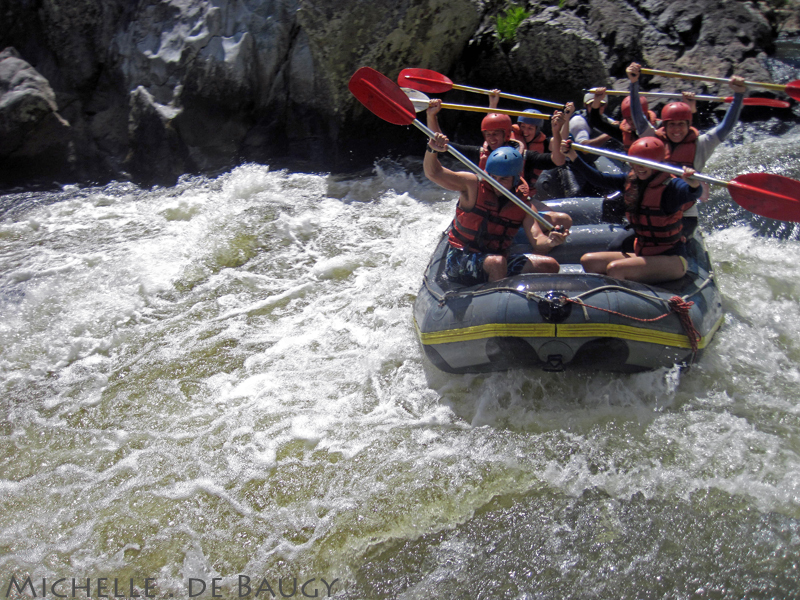 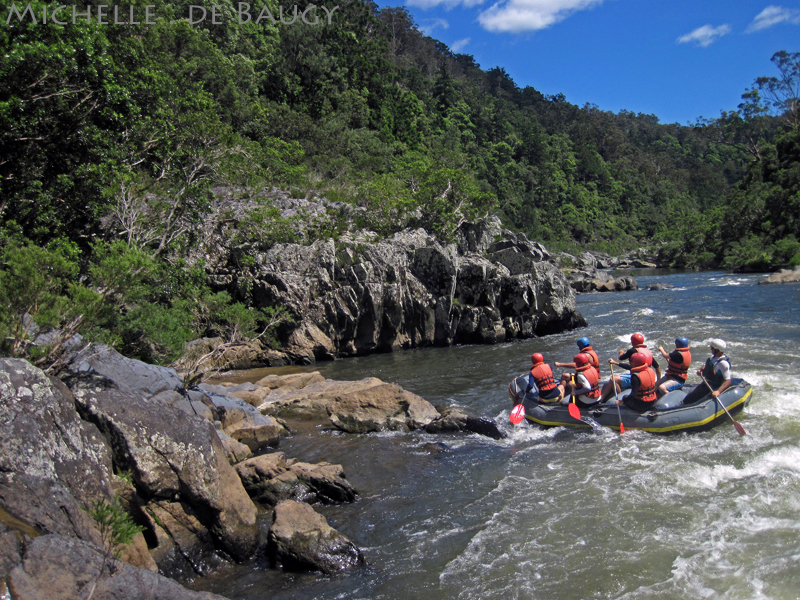 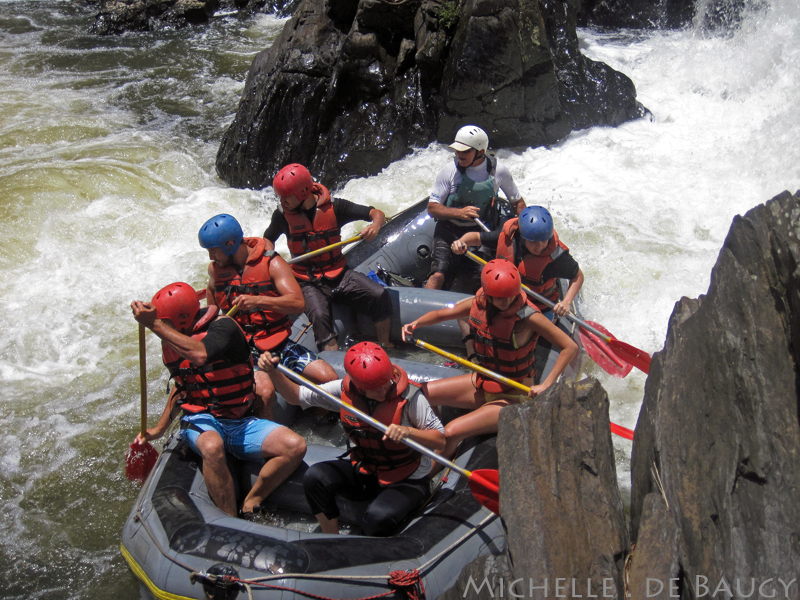 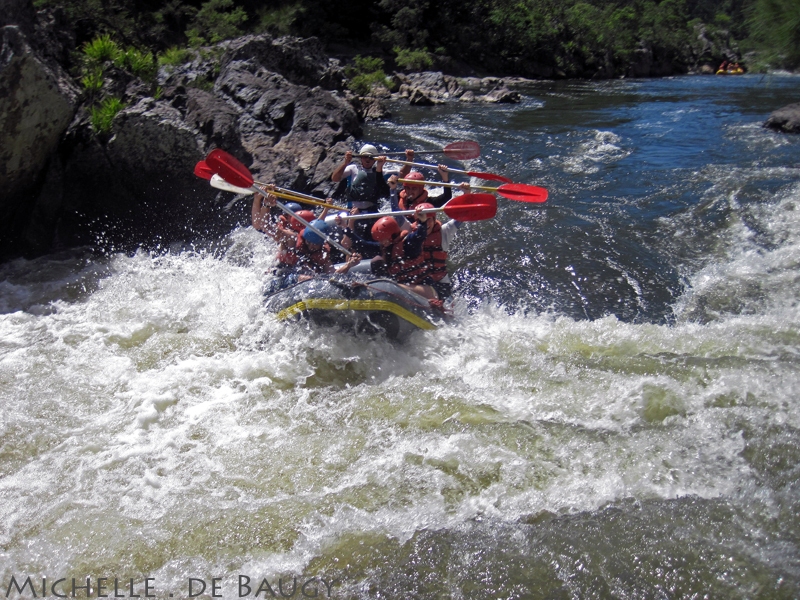 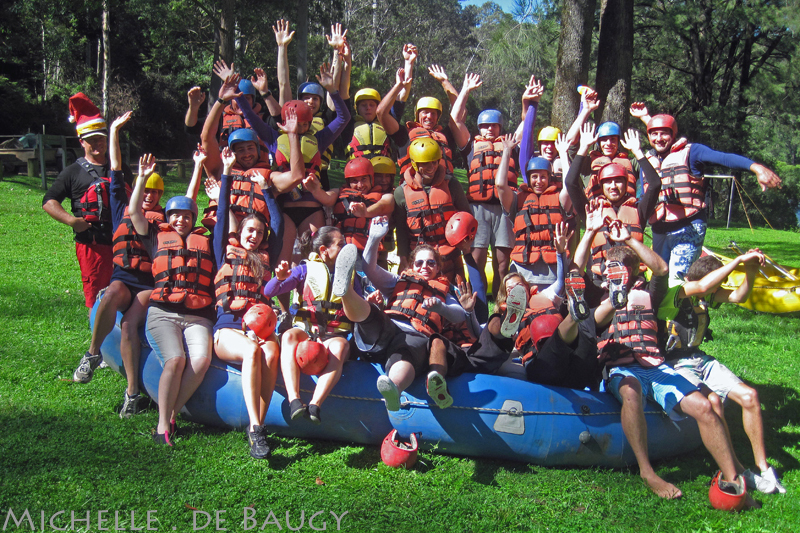 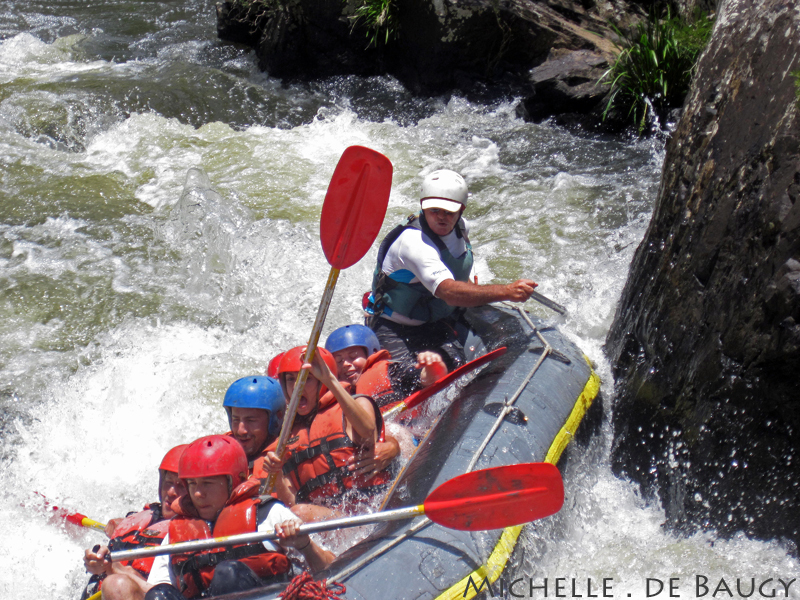 If you are ever in the Coffs Harbour area I would definitely recommend this rafting tour!